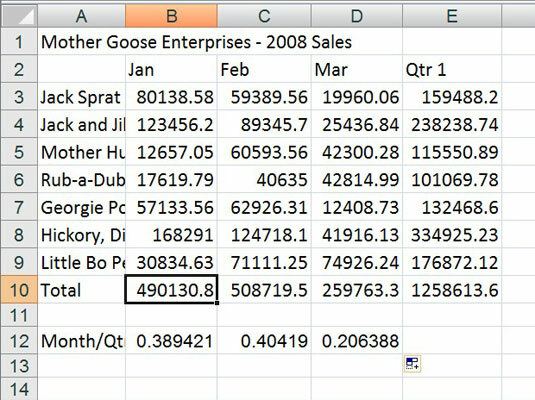 Excel 2007 provides a variety of number formats that you can apply to the values (numbers) you enter in a worksheet to make the data easier to interpret. These number formats include currency, accounting, percentage, date, time, fraction, and scientific, as well as a few special formats. Percentages: If you enter a value representing a percentage as a whole number followed by the percent sign without any decimal places, Excel assigns to the cell the Percentage number format that follows this pattern along with the entry. Select the cell(s) containing the value(s) you want to format. 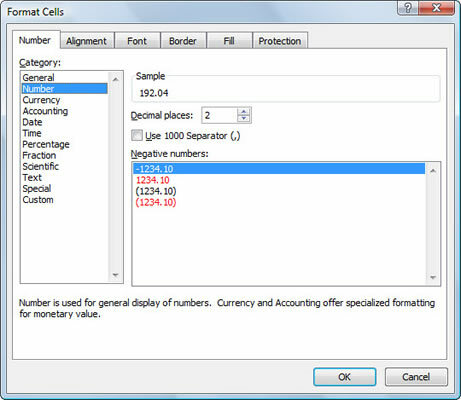 Use the keyboard shortcut Ctrl+1 to open the Format Cells dialog box. Just keep in mind that the keyboard shortcut is pressing the Ctrl key plus the number 1 key, and not the function key F1.